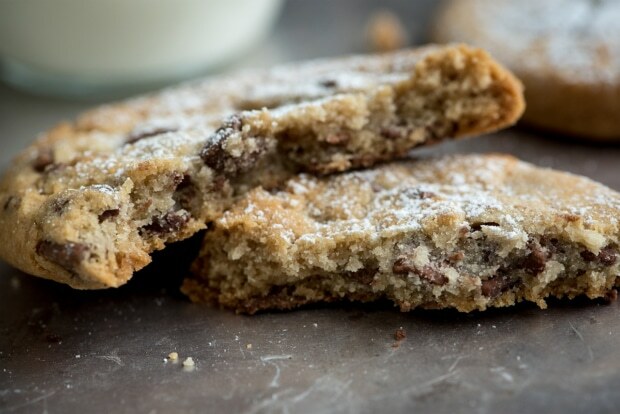 Increase your milk supply naturally with these lactation cookie recipes. Are you worried that your baby isn’t getting enough milk? And we all know lots of new moms give up breastfeeding because they feel they don’t have enough milk! 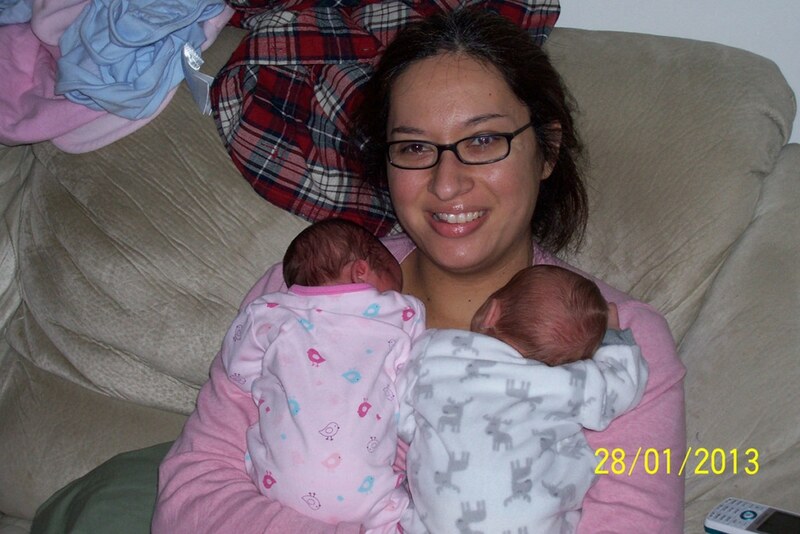 For me, I was only producing enough milk for one of my babies and had to find ways to increase my milk supply as a new mom to twins. Foods can increase your milk supply! So, if you’ve ever Googled ‘how to increase milk supply’ you’ve probably come across lists of foods that claim to help you increase your milk supply – foods like oats, spinach, flax seeds, carrots and papaya. And luckily it’s easy to use these milk supply boosting foods in a bunch of quick, budget-friendly and delicious lactation cookie recipes and more that the whole family can enjoy. Before I get into this post, I want to let you know: I am not a medical professional and this should not be taken as medical advice. If you are concerned about you or your baby, please consult an appropriate medical professional immediately. Although we can’t enjoy our usual caffeine kick while we’re breastfeeding – I missed my coffee so much! 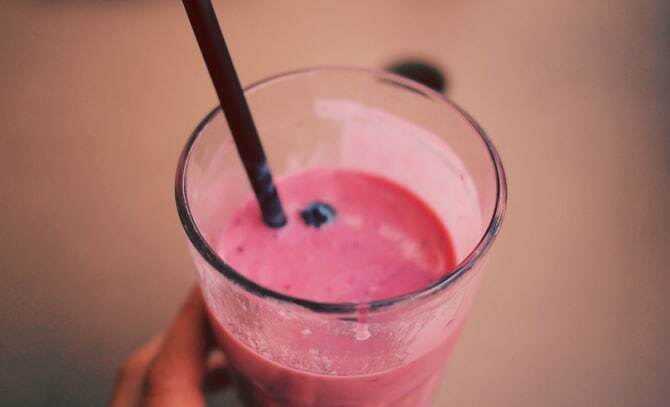 – we can enjoy one of these healthy boobie smoothies instead. They’re all packed with great taste, healthy ingredients and those milk supply boosting ingredients. And don’t they look delicious? Yeah, me too. But if you’re struggling to lose the baby weight, here’s a healthy alternative. 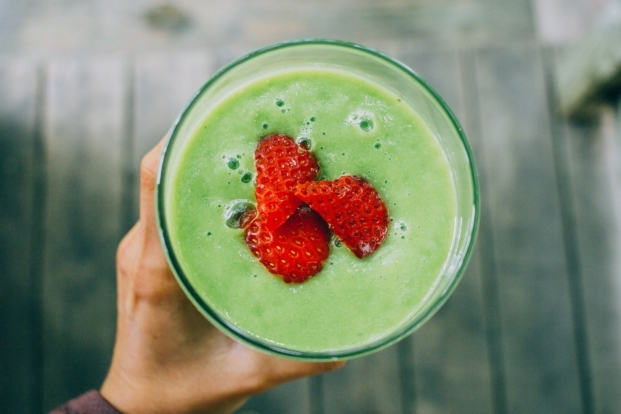 A green smoothie that tastes like an oatmeal cookie! 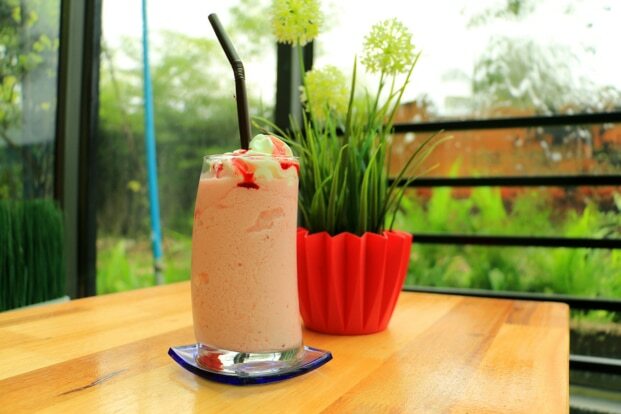 This smoothie from Much Most Darling is packed with green goodness and those oats are the holy grail of galactagogues, so feel free to indulge yourself, mama. If you’re hankering for a sweet treat, you can add butterscotch dips or maple syrup – yummy! This one is dairy-free, too. 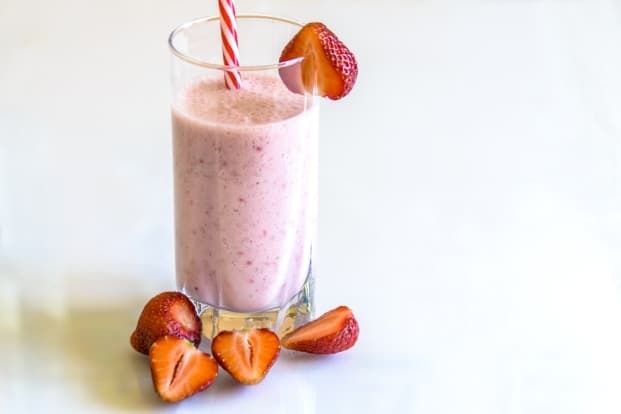 This smoothie from Lauren Mcbride is packed strawberries and looks delicious. And that dark leafy spinach has traditionally been used to increase milk supply. I’m happy to say that the measurements don’t have to be exact – perfect for a mommy in a hurry. As the Fresh Milk Mama says, this one is breakfast in a glass! But I wouldn’t limit myself to just having this for breakfast – it makes a great snack to beat that mid-afternoon slump. Use whatever berries you have on hand and feel free to opt for frozen berries. With oats, flaxseed and brewers’ yeast, it’s also an awesome way to boost your milk supply. This one has to win the prize for most versatile. 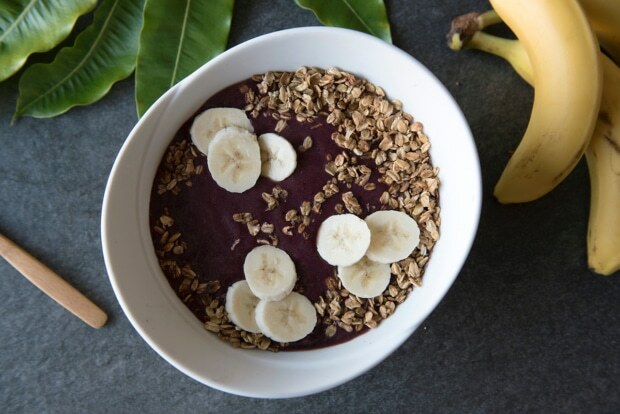 With a base of milk supply boosting oats, flax and almond milk, you can throw in any frozen fruit you have on hand – although she does recommend papaya. And I have to agree that it looks delicious. With pineapple and coconut water, this one has ‘tropical punch’ written all over this. Feel free to play around with fresh and frozen ingredients until you find what works best for you. And the handfuls of dark leafy spinach make this one perfect for nursing mamas! This recipe is from Bun Maternity. 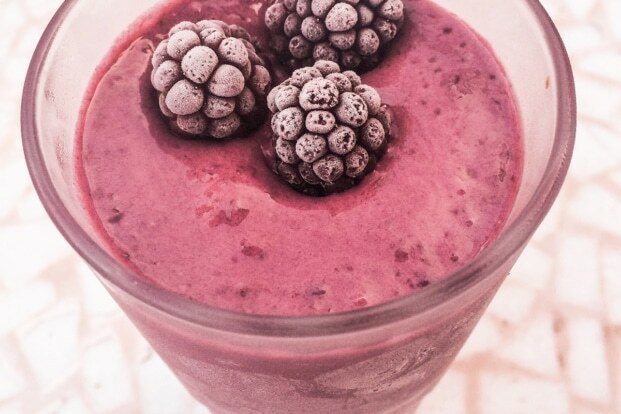 This smoothie from the Stay At Home Mum is a great way to sneak in the goodness and still feel like you’re giving yourself a treat. And with oats and flaxseed to boost your milk supply this one is a breastfeeding mama’s BFF. You can make this one even more convenient by using frozen bananas. I’ll have to drink this one fast, before my husband grabs it! 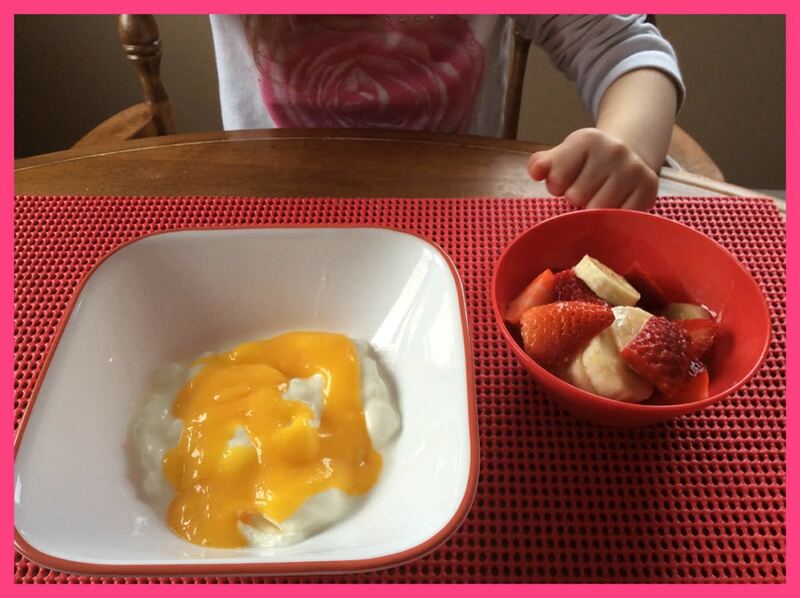 After a night of waking up to feed baby, a healthy and filling breakfast is a must. 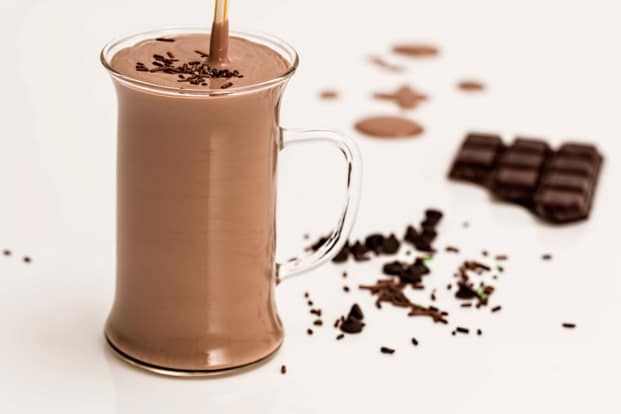 Here are 5 recipes to give yourself – and your milk supply – a morning boost. 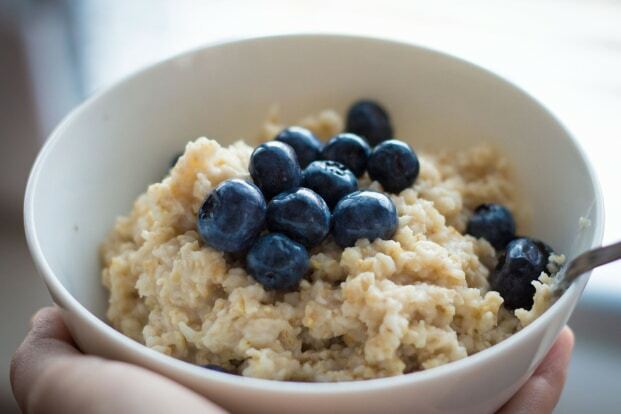 Is there anything more comforting than oatmeal for breakfast? For busy new moms, oatmeal has to be the ultimate in fast food. And the Cocina Monologues also includes make-ahead tips for this recipe that makes it perfect for busy, sleep-deprived new moms. Psst…if you want some make-ahead recipes, check out 31 make-ahead freezer meals for busy moms! This recipe is packed with milk supply boosting fruit and nut goodness. We know oats are awesome for boosting milk supply. 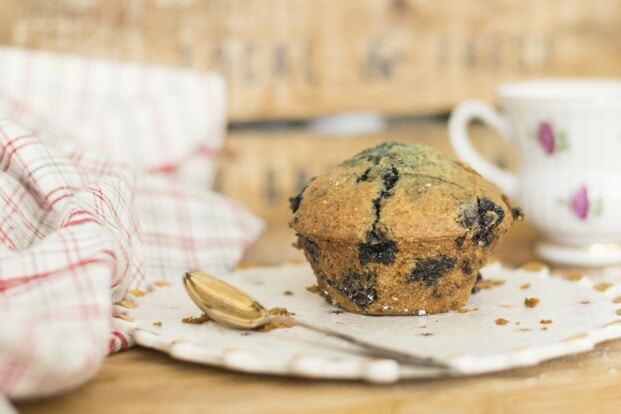 But if you’re feeling bored of the usual bowl of oatmeal for breakfast, why not switch gear with this blueberry oatmeal muffin from the Bun Blog? With oats, carrots, blueberries and almonds, this is a recipe you’ll want to enjoy long after your breastfeeding days are over. OK, there are oats in this recipe again but you’ve got to love pancakes, right? 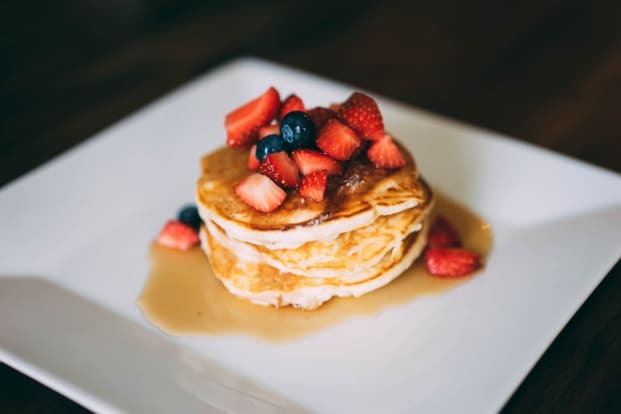 The beautiful Jen Bosen over at Real Life on Purpose has breakfast sorted with these delicious pancakes that are full of milk supply boosting oats, yeast and flax seeds. Top with fruit, cream or anything you fancy. Any one for maple syrup? Although not advertised as a ‘lactation’ recipe, this recipe from My Fussy Eater is packed with milk supply boosting oats. And it’s perfect for busy midweek breakfasts. There’s no need to worry about getting the measurements exact, so you can throw this one together while holding baby. And they’ll be perfect for when your little one starts to wean. So healthy snacks are a must have – and these are packed with milk supply boosting ingredients. And the best part? You can eat them one-handed while nursing baby! 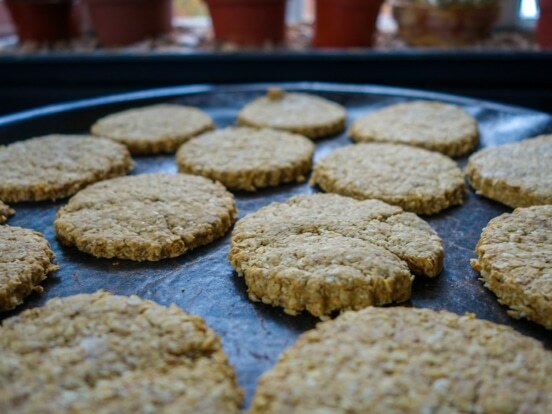 These cookies from the Herbal Healing Mama couldn’t be more convenient! And you can add flax seeds, fenugreek or brewer’s yeast for extra milk boosting goodness. 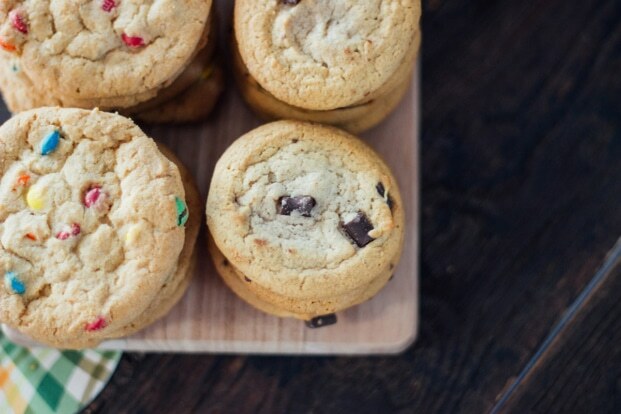 Press them into silicone molds to make Pinterest-worthy cookies. Or just heap them onto parchment paper. Perfect! Did I mention they’re no bake?? All mamas deserve a treat! 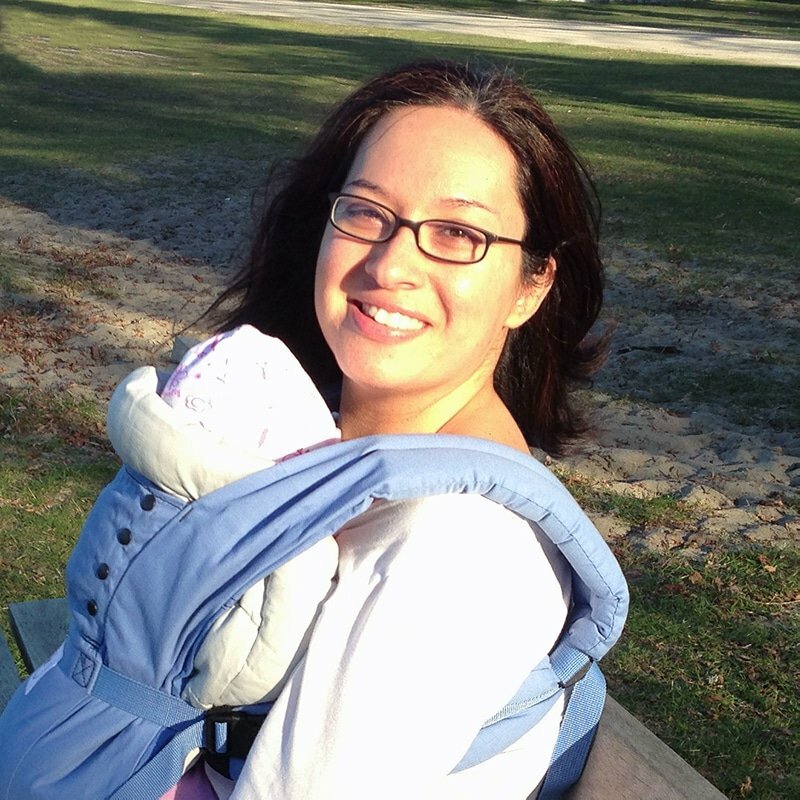 And if you’re a breastfeeding mama, this one’s for you. These lactation cookies from Thrifty Nifty Mommy are a chocolate lover’s dream – they’re made with M&Ms!! Don’t they look delicious? Check out the recipe here. They may not be as healthy as other lactation cookies, but these are a great way to give yourself a treat and boost milk supply. 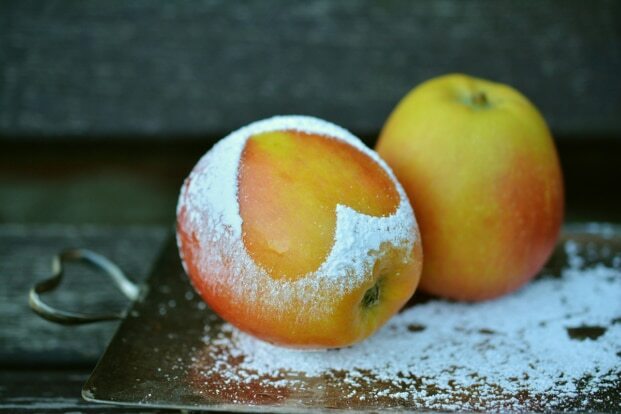 What a great recipe from Tastes Lovely! Dairy-free and made with coconut oil, these pillowy cookies are delicious for all the family. 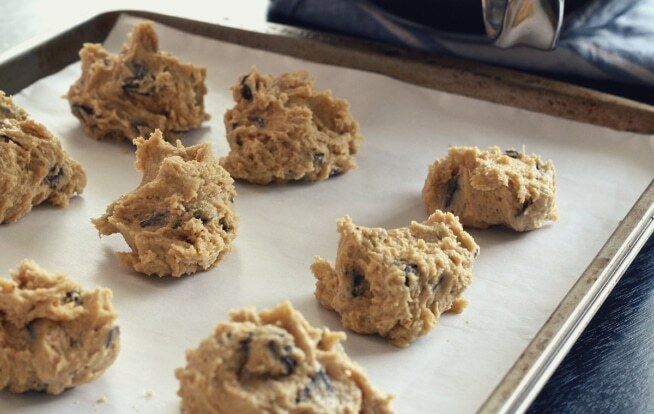 You can make a big batch and freeze the dough until you need it. But I think I’d go ahead and make a big batch. I’ve got a feeling these are going to disappear fast! Incredibly these are gluten-free and paleo friendly! And you can have a big batch ready in under 20 minutes. Can I say life-saver? If you’re nursing during Fall, then these Apple Cinnamon Cookies from Premeditated Leftovers are pretty much a must have! And packed with flax, brewer’s yeast and oats they’re a milk supply boosting treat. You may not be able to enjoy your morning cup of coffee while breastfeeding, but this Mother’s Milk Tea would be a delicious replacement!! This one has a liquorice taste – but you can drink it with a dash of honey if you prefer. And with anise, fennel and fenugreek, this is one easy way to boost milk supply! 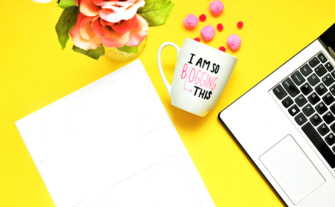 We all know that staying hydrated is a must for nursing mamas! So when I was breastfeeding I got into the habit of having a full water bottle on hand at all times and made sure to add plenty of ice. And I know this habit helped me shed the baby weight! My all-time favorite water bottle is this one from Thermos. It’s insulated and durable and I only fill it twice a day to get the water recommendation amount! But my husband swears by this one, the Klean Kanteen. If you’re looking to try out some of these delicious boobie smoothies, why not make things easy for yourself and invest in a good quality blender. And the Nutri Bullet will be awesome for making delicious smoothies when your little one starts to wean. It’s easy to clean and doesn’t take up too much counter space – yipee! OK, I know it takes just a little effort to whip up some boobie cookies. But as a new mama there will be times when even that feels like too much! So, I recommend keeping a box of these Milkful Lactation Bars in your pantry for emergencies. They come in two flavors: blueberry almond coconut or chocolate banana nut. And if you just can’t decide which you like best, there’s a variety box! Keep one in your diaper bag for a high protein, low sugar treat when you’re out and about. Power pumping is a powerful way to boost milk supply naturally. 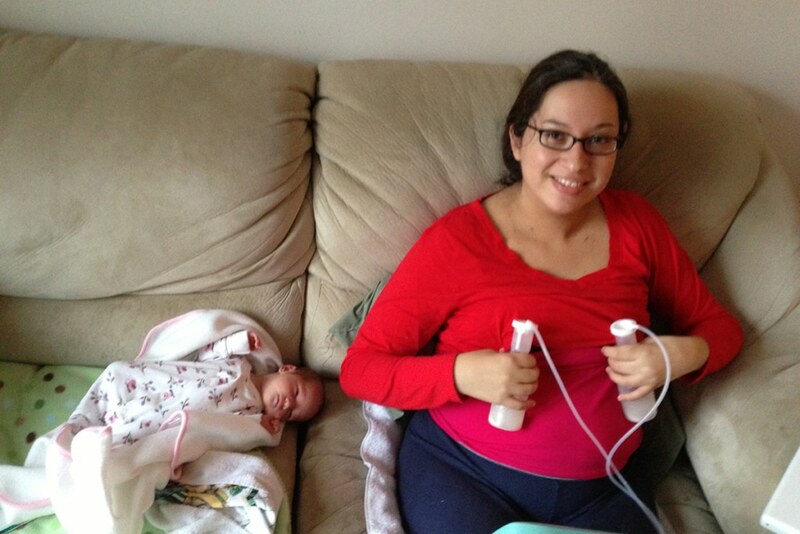 And you may spend a lot of time pumping as a new mama, so be sure to find a breast pump that’s comfortable for you! The Medela Harmony Manual Breast Pump is a great budget option. And it comes with a stand to prevent spilt milk disasters! Genius! This double breast electric pump helped me grow my milk supply and it comes with a cute on the go tote and is super convenient if you plan to pump regularly. 15 natural, healthy and family-friendly recipes to boost your milk supply. Now with this boost of breast milk supply, you need to properly store it. How do you store and freeze breastmilk? 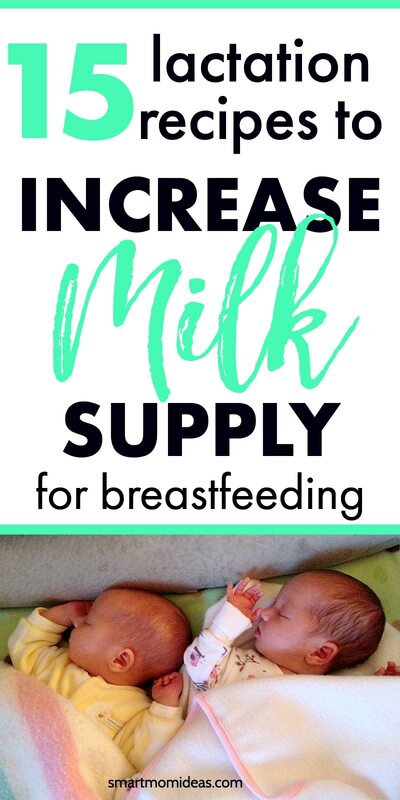 Make sure to check out my breastmilk storage guideline! And don’t forget, breastfeeding is hungry work. 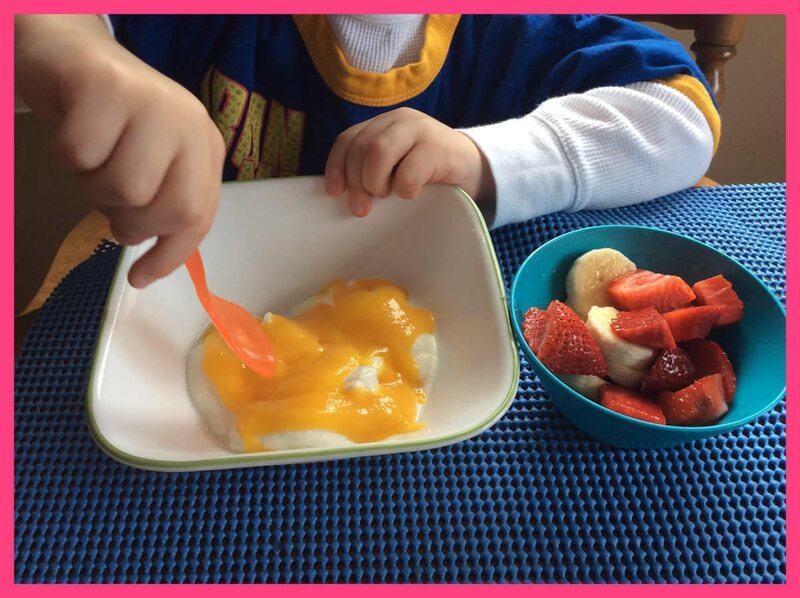 So having these healthy snacks and meals on hand can also help you lose that baby weight. (Add link to your 21 ways to lose baby weight bp). Now it’s your turn – tell me if you’re excited to try one of these recipes! I think I’ll take a peanut banana smoothie first. Yummy! 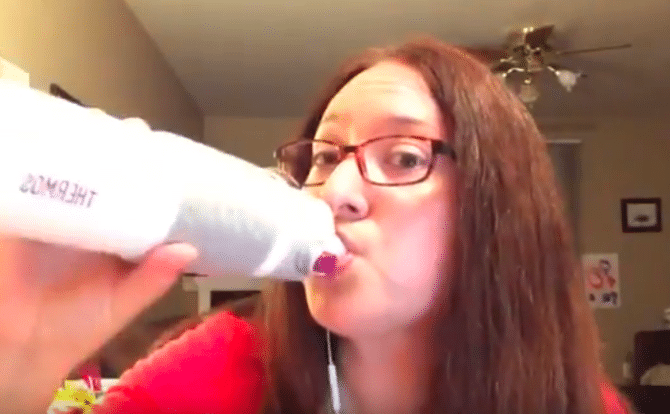 Grandma asks: how do you make bottle supplements and nursing work together? What do you mean by bottle supplements? Do you mean using formula? I used donor milk and formula to help with my milk supply. But, I worked on increasing my milk supply and over time I stopped using donor milk and relied less on formula. I started using Healthy nursing tea when my son wasn’t gaining weight like he should have been. He would not take a bottle or solid foods, so I really needed to increase my milk supply. I am happy that my milk supply increased quite nicely! My son is now a happy, chubby 1-year old and still nursing 3 to 4 times per day. How long before you notice an increase in supply with the tea? A friend of mine has been prescribed pills but I think there are other ways to try first. Maybe some lactation cookies with a bit of nursing tea? I’m sure the stress of it all isn’t helping either. What kind of pills I been trying everything, teas, cookies but still I feel that I don’t produce enough milk so I have to use suplements to feed my baby. That’s great! I’ve heard great things about teas to increase your milk supply!